You're doing a lot to the car for winter beater status. I have a soft spot for these, I hope it treats you well. I also want this car to be a solid back-up option to the other two. 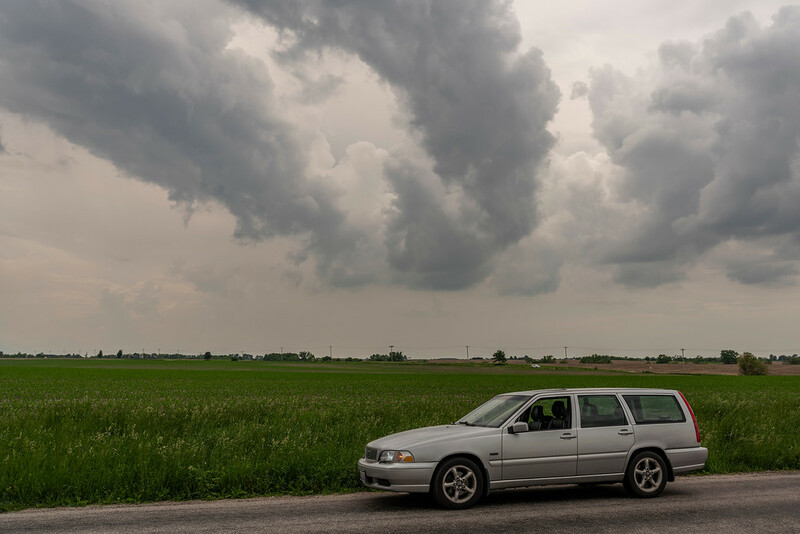 I like my cars to be road worthy enough to travel anywhere if needed, though this one will probably never be driven on any long trips. This car also gets better MPG than the other two. I've felt better about putting money into this car since the oil consumption issues all but vanished when the new turbo went in. 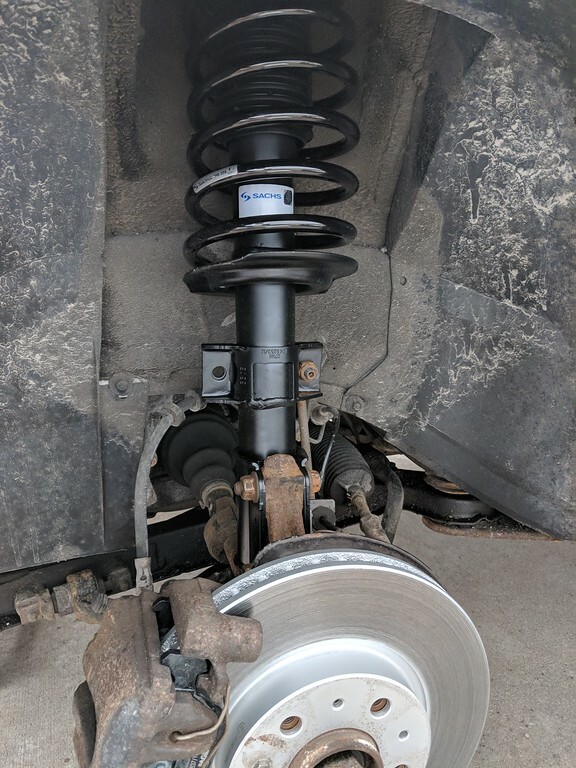 I think I'm going to try to remove the failed bump stop from the spring to see if that gets rid of my noise. Every part I grab under there feels tight. I have a 60 lb box of brake parts for the next part of this project. I *think* I found the source of my sound. I've always thought it sounded vaguely like someone whacking a flag pole with a piece of metal. 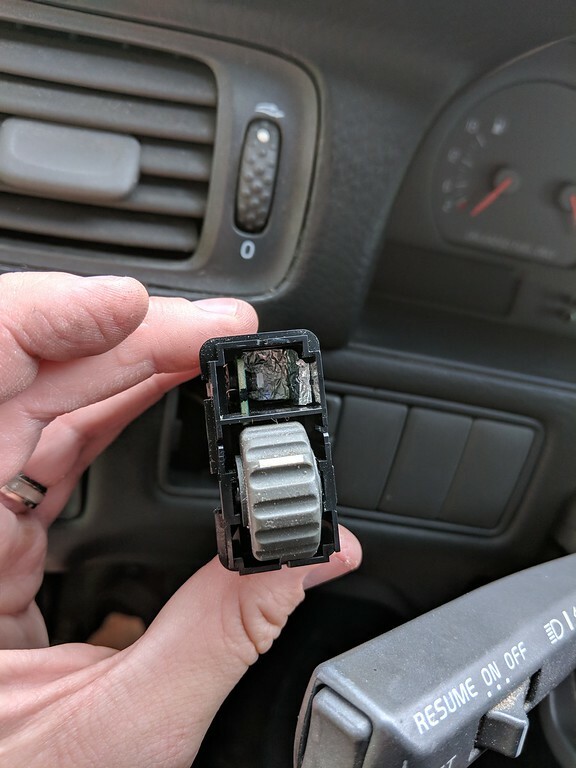 I found this oddity under the drivers side rear. I'm not quite sure what's going on here. 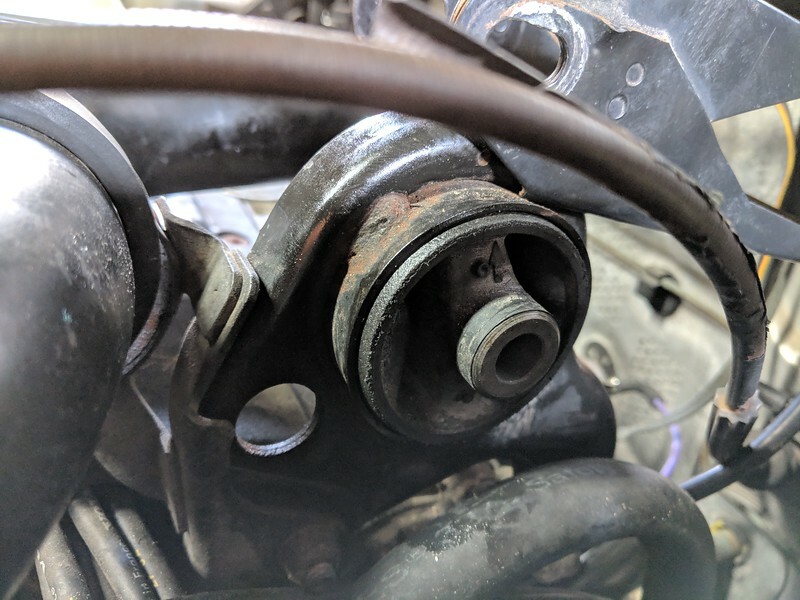 It does appear that one of the U-bolts makes contact with the rear subframe. To experiment I cut a little bit of the u-bolt away. The sound almost completely vanished after doing that. I can only vaguely hear it when driving over really big bumps. 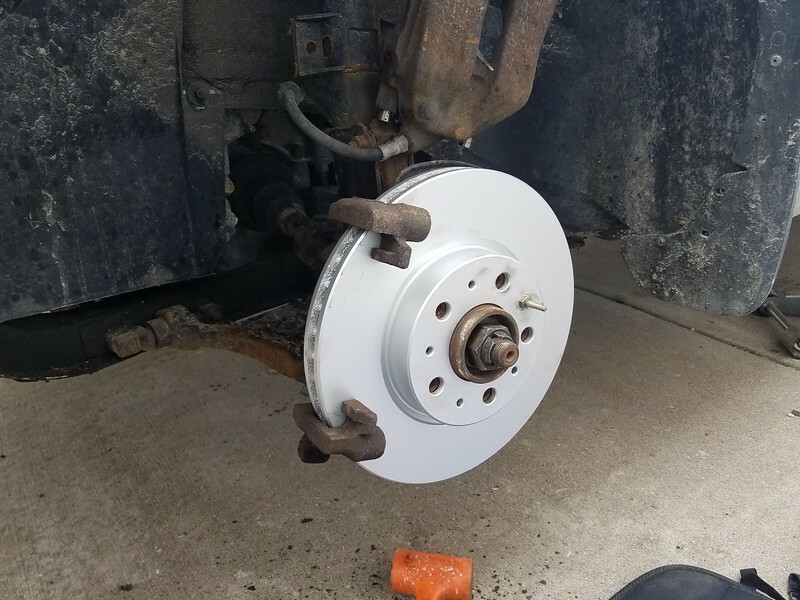 I also replaced the front rotors and pads. Now I'm probably guilty of spending too much on this car. 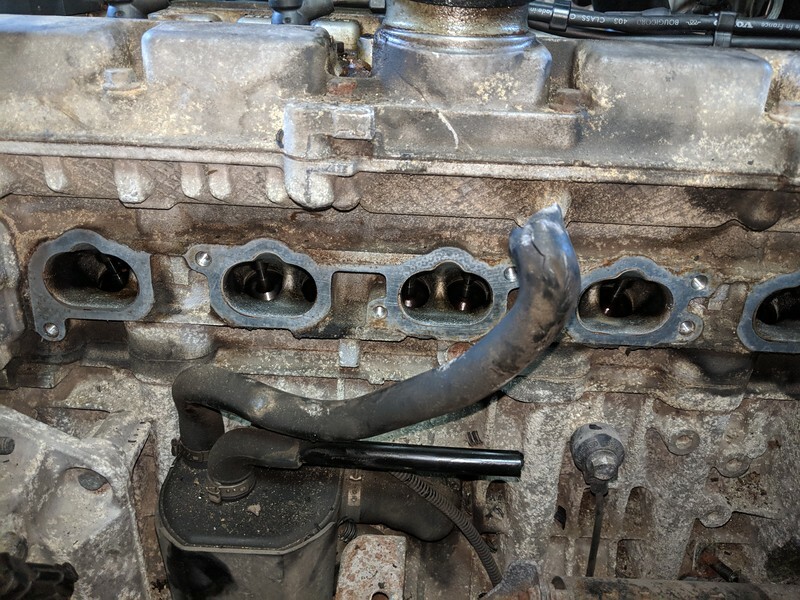 The front end developed a bad creaking noise. I diagnosed this as coming from the passenger side front shock. The top of the strut assembly on that side spun freely. They were replaced last in 2013 with Gabriel brand struts. 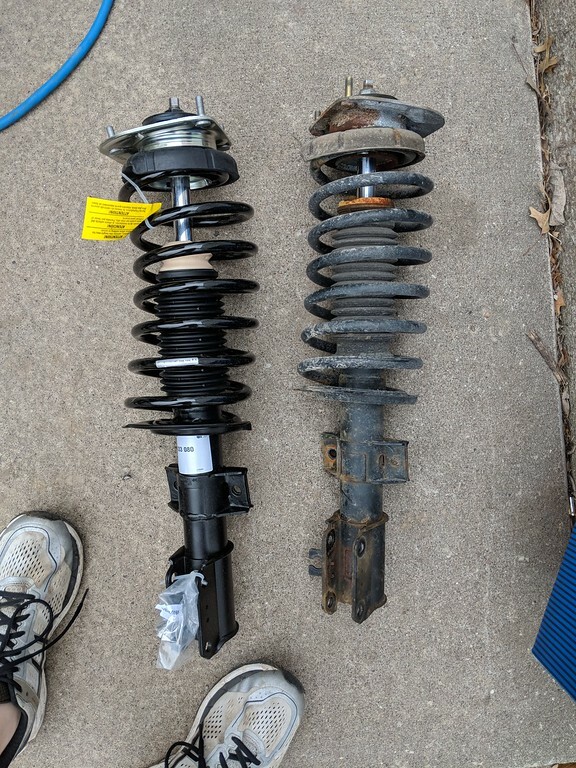 I didn't feel it was worth my time to **** those so I bought to Sachs quick struts. The creaking sound is gone and the car actually drives a lot better. I need to get an alignment now though. I was also surprised to see that the galleys on top aren't filled with oil. 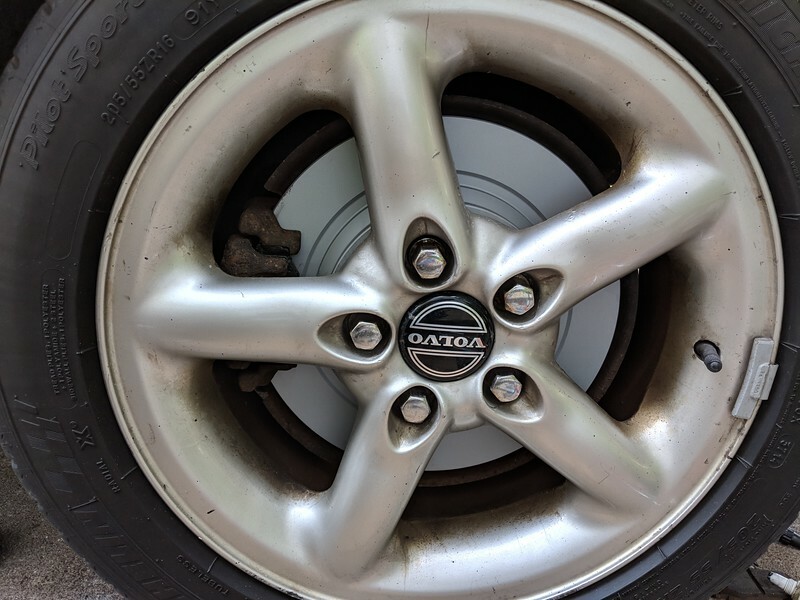 Dealer aligned the car. The dealer also said they couldn't get the right rear camber within spec. 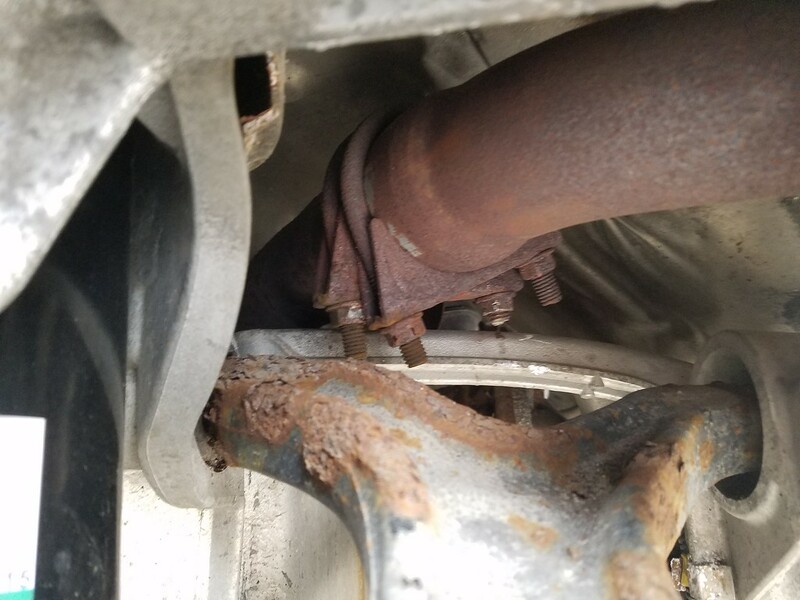 They claim the car needs new rear control arms, knuckle bushings and possibly a rear subframe. That's all well and good except they're the ones that claimed to have dropped the rear suspension only 1000 miles ago. The PO wasn't happy with the repair as noted on the 4 pages of receipts from return visits. I've trouble believing they didn't notice those things when they claimed to have dropped those pieces. 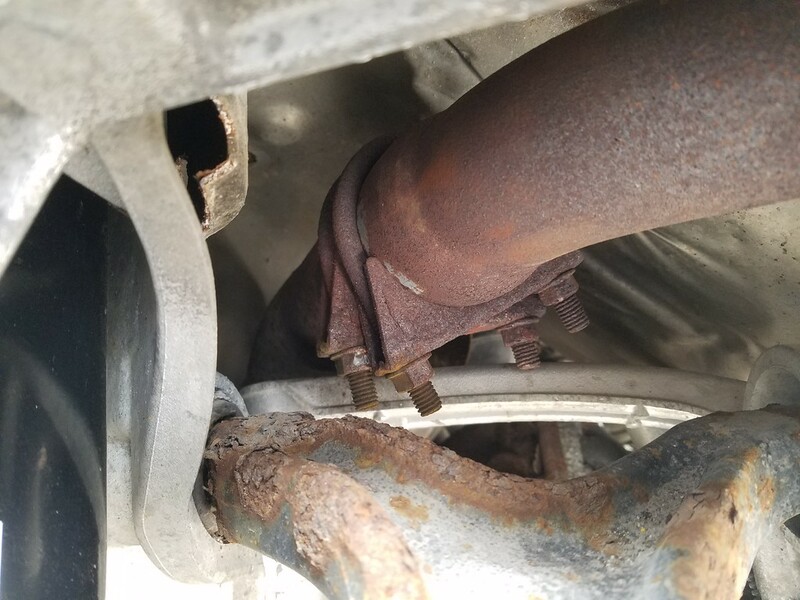 My theory that my clunk was coming from the exhaust was completely wrong. 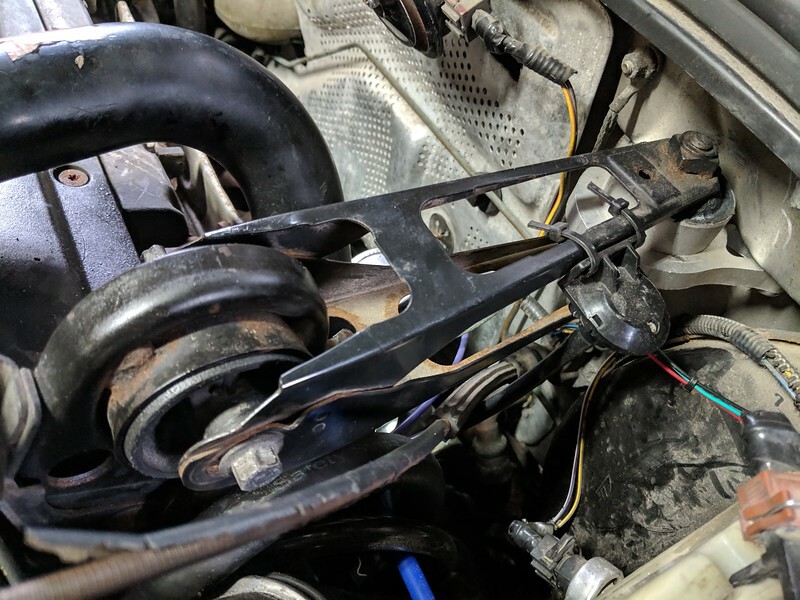 I fixed the clamp situation with a strap band clamp, but the sound was still present. On a lark I tried tapping the wheel hub with a rubber mallet. I thought I actually could hear something rattling inside. I remembered that once upon a time we had a S70 that was making a horrible racket from its rear wheel. It turned out that the parking brake had disintegrated. In that case it was more of a horrible rattle sound than a clunk. I removed the rotor... and sure enough the parking brake shoes were loose inside. 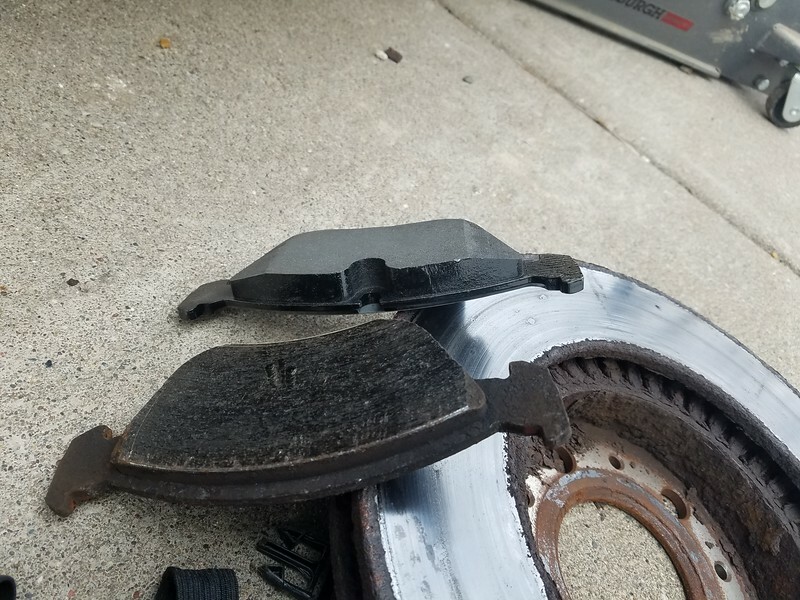 The dealer charged the PO to remove these, but all they did was cut the parking brake cables. The clunk is now 100% gone. I still have an interior squeak to find though. I learned the 4 wheel brake kit that RockAuto sells for his car contains the wrong rotors/pads for the rears. 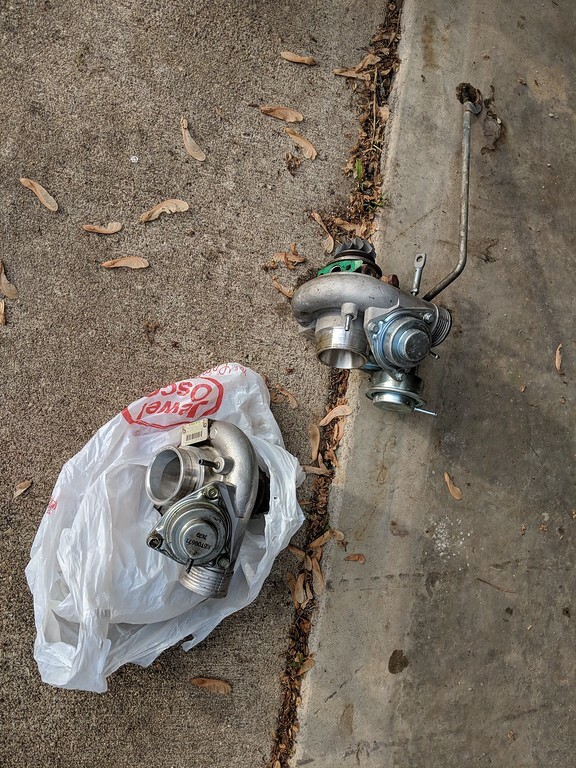 I decided to be stupendously stupid and swap the turbo again. I falsely believed there wasn't much that could be done with the LPT motors, but I have since learned that's not true. I swapped over a T5 ECU, refurbished white injectors and a 16T with ARD wheels. So now it's a T5 with higher compression... sorta. This actually took longer the second time around for some reason. I was running 9-10psi with just the T5 ECU and 13T. When I added the 16T and injectors that dropped to 8psi. I'm not sure why though. The engine also sounds a bit different. 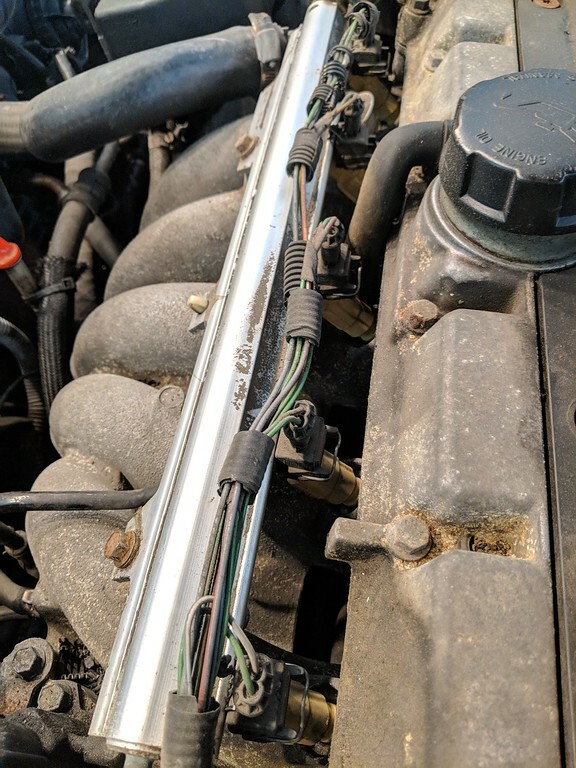 I did remember from last time around that some of these little coolant hoses needed replacing. 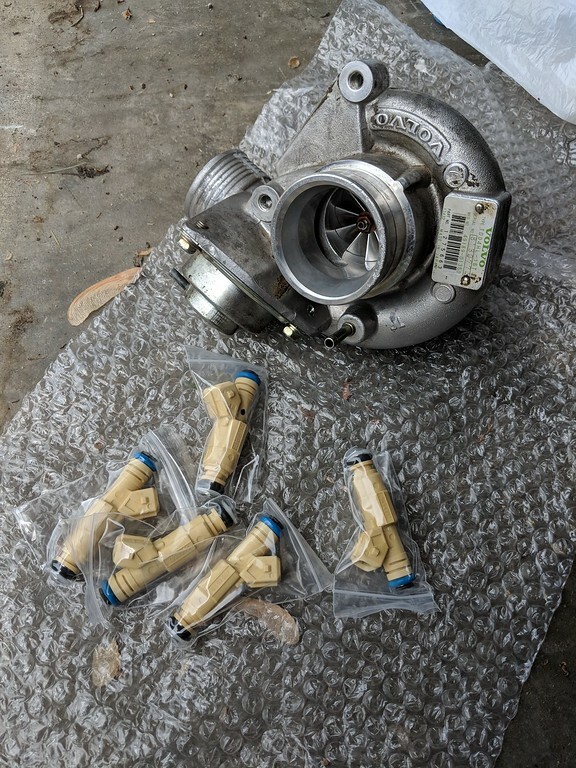 There's much more access to them with the turbo removed. I also replaced the shift knob button with a new one. Last edited by churd9; 05-27-2018 at 06:18 AM.. I like the LED bulbs. They are plug and play. The dust caps even still fit. 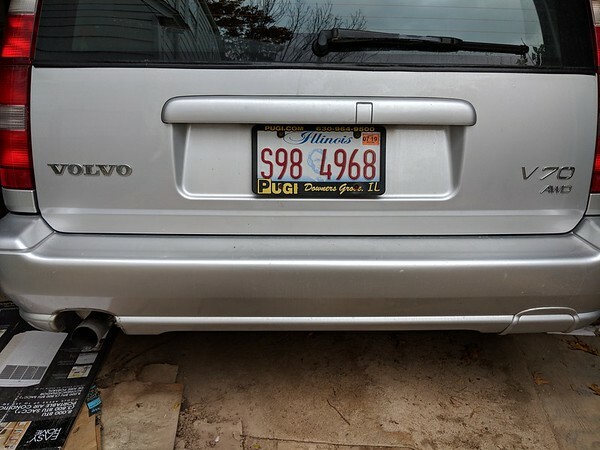 I did find that most of the adjustments on one side no longer work, but it sounds like that's common for p80 cars two decades on. Nice work keeping this on the road - not too many people give AWD P80s this kind of TLC any more. 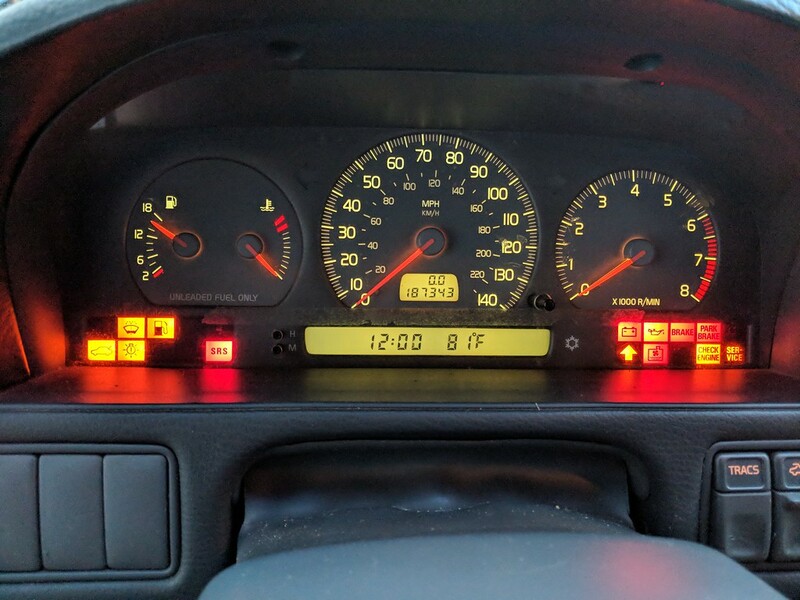 I finally got around to replacing burnt out instrument cluster bulbs. 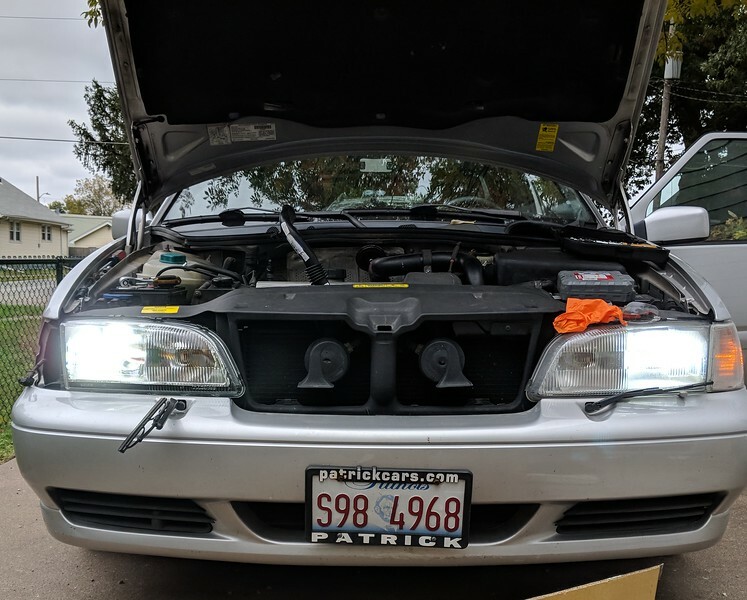 I originally intended to use the IPD led kit, but the OEM bulbs are almost $40 less. Thanks. A smarter person probably would have crushed it. I decided the wisest thing to do was get this thing tuned. I ordered a tune from vast. I'm still in the data logging stage but so far things are going well. 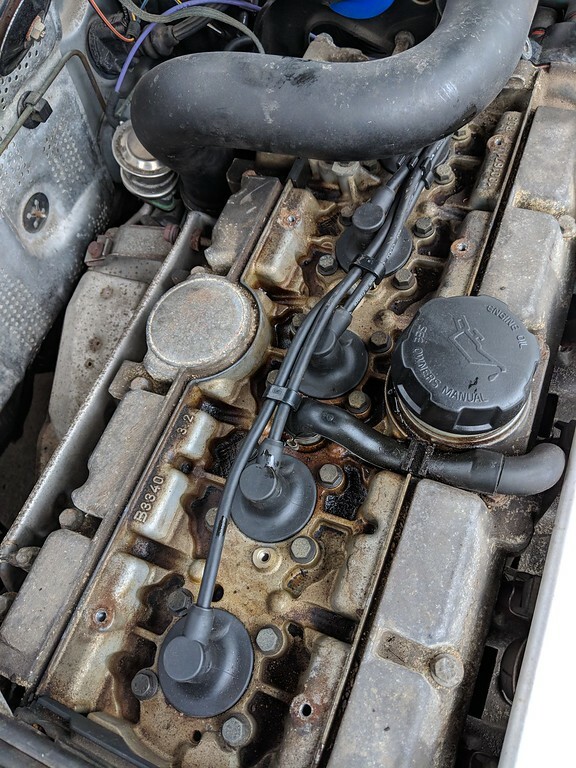 I also replaced the plastic ECU vent hose with a new one. The old one was held together with tape. Last edited by ovlov760; 06-10-2018 at 10:19 AM.. 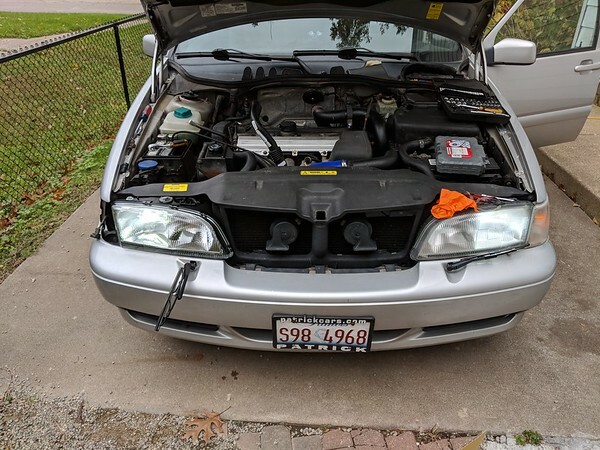 I found green LED lights that I think are a closer match to OEM. Still too green, but close enough I guess. The LED lamps appear quite dim inside the dimmer switch given the direction the light is projected, so I glued a piece of tin foil inside the housing. That improves things enough lighting wise even if it's a crude solution. Still working with vast to get this car tuned. I haven't been able to hit the targeted boost levels. 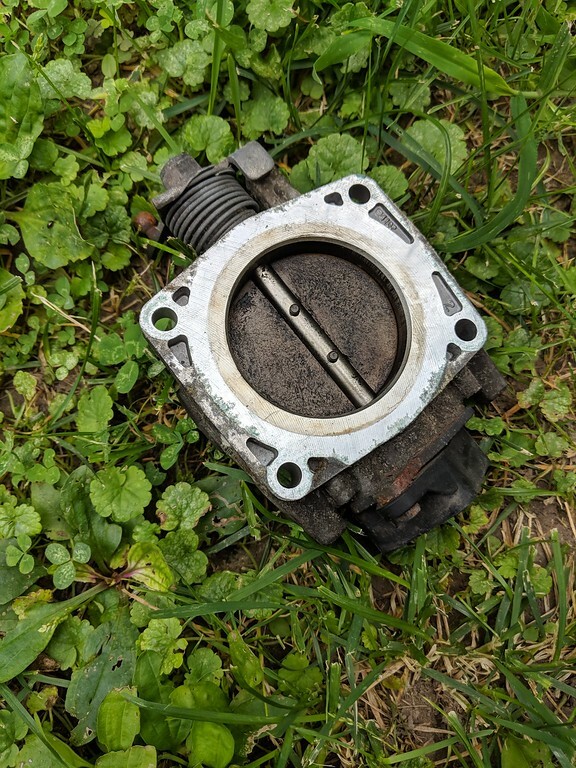 To date I've replaced the tcv and tested for boost leaks with no luck. Last night I replaced the WG actuator with a kiniguaw .5 bar model and was finally able to hit 15psi. Of course on the next pull I only saw 10psi. I'm not certain the problem is solved. 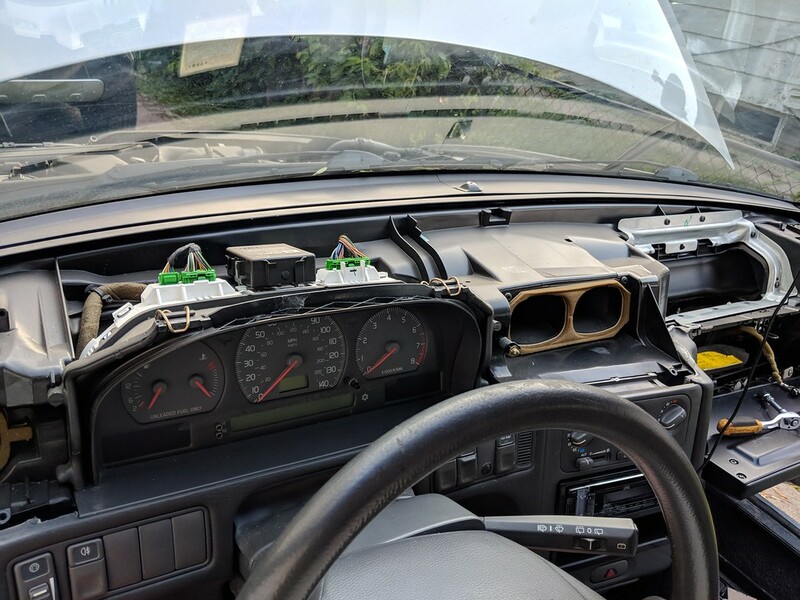 I finally around to replacing the PCV system on this car. 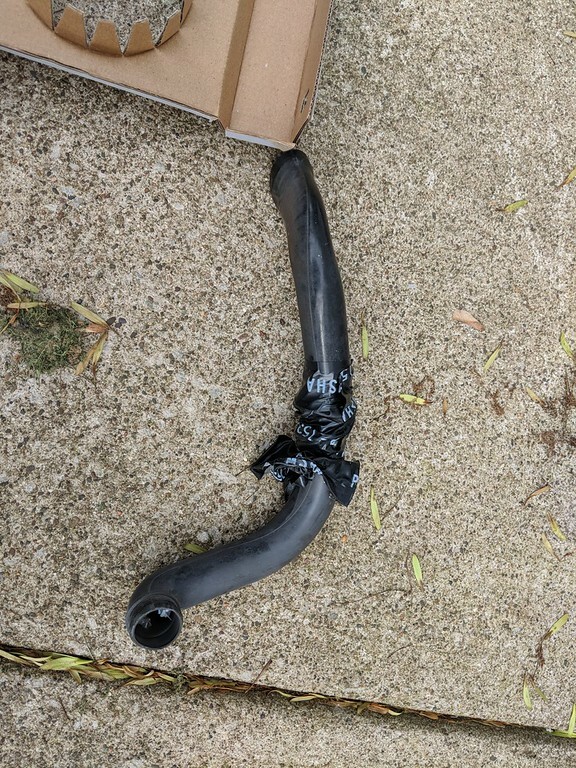 I decided to try the idea of replacing the brittle plastic breather box hose with 5/8" heater hose as other people have done. The whole reason I'm doing this is because the OEM plastic hose had broken in several place. The other rubber bits were replaced with OEM stuff. 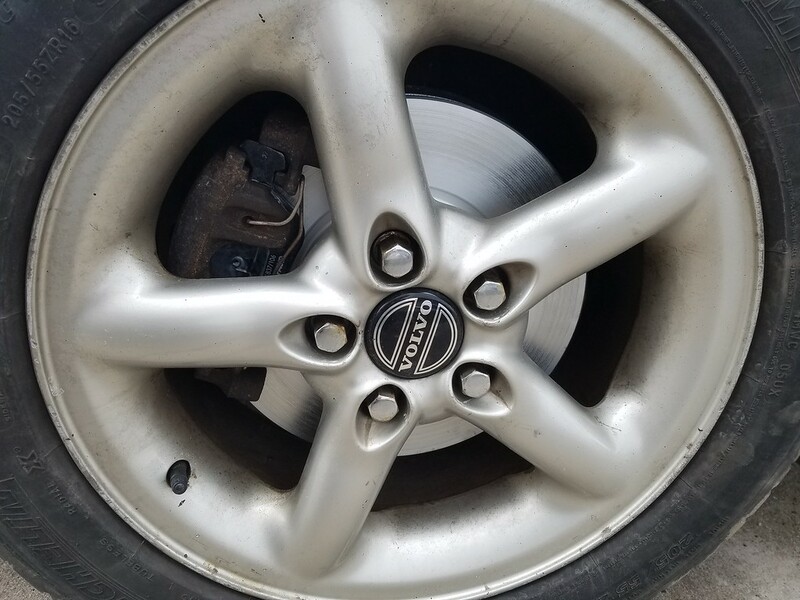 I was able to find the right rotors and pads for this car at FCP for $99. FCP says its the wrong part but the part numbers match up with what's on the car. 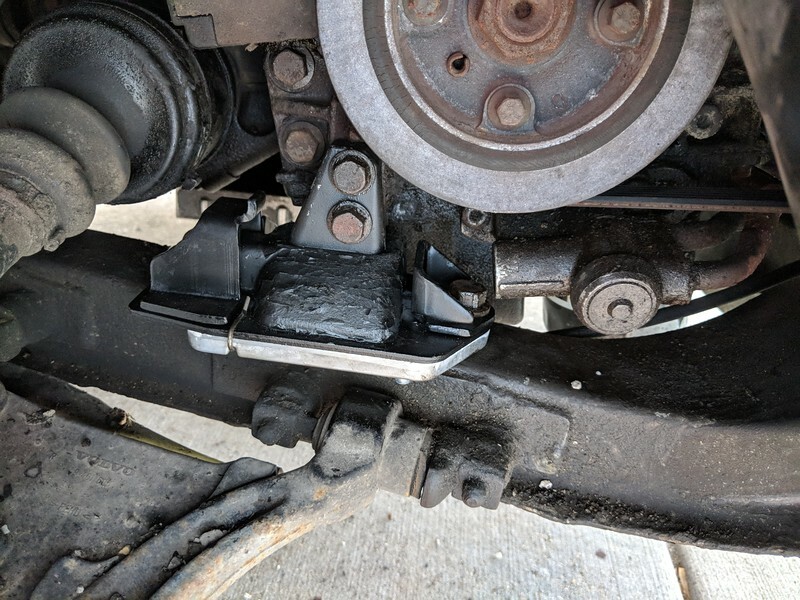 Apparently there was an update to for the rear brakes, which this particular car never got. Last edited by ovlov760; 08-13-2018 at 10:42 PM.. 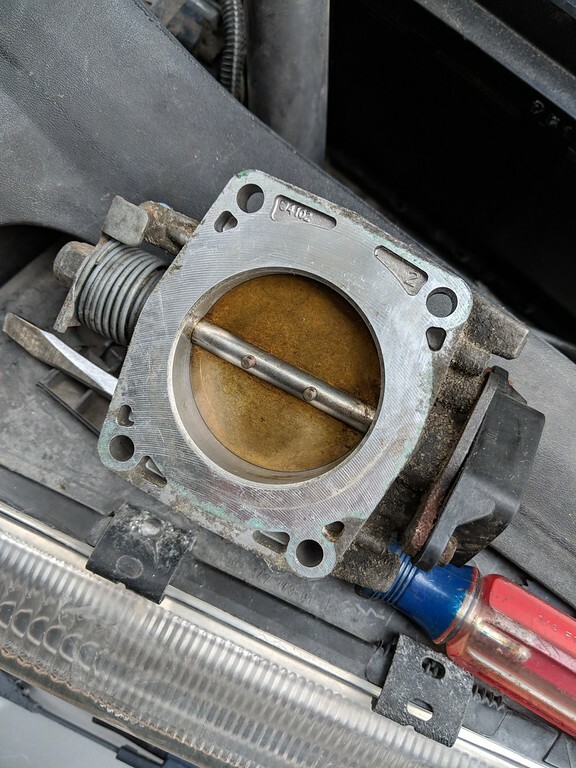 I replaced the throttle body gasket and cleaned the throttle body. I think this may have fixed my boost issues. I need to log at WOT to be sure. 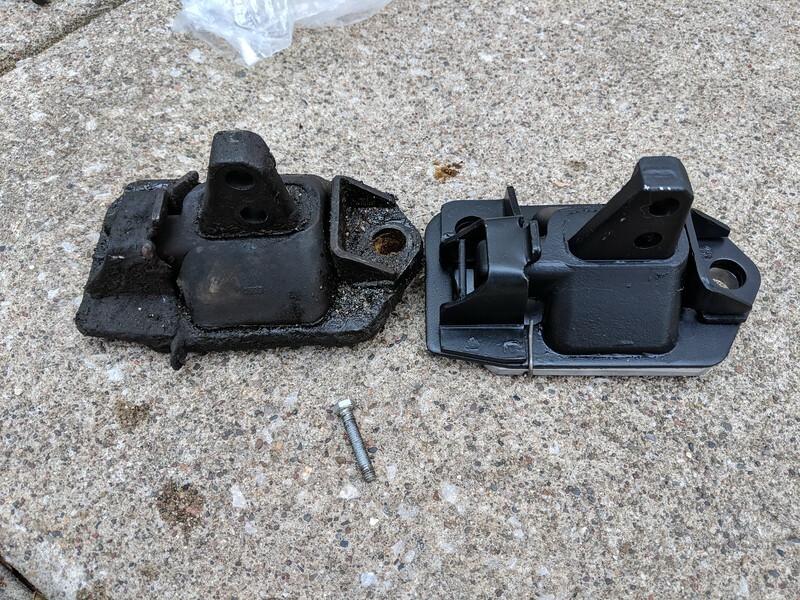 Since I have been feeling some vibration at idle and at high RPM's I replaced the front engine pad. 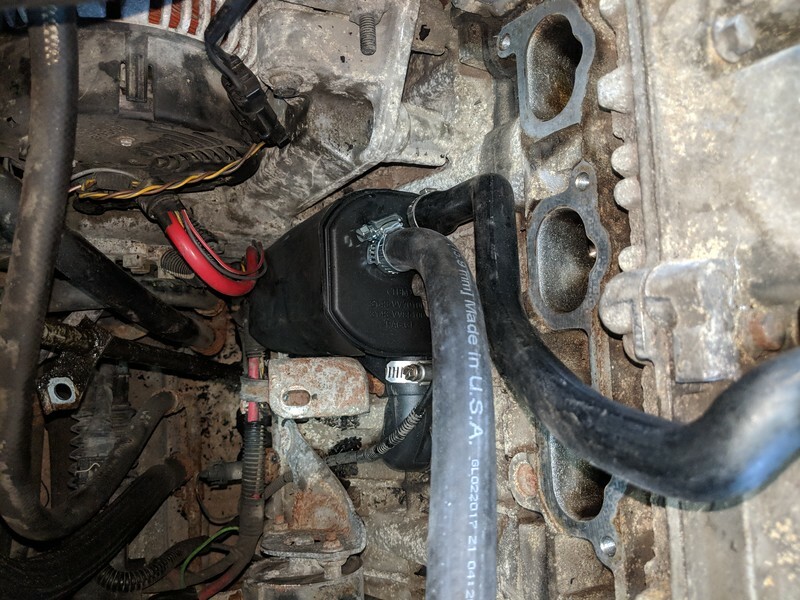 Always a fun job on FWD Volvo's due to little access for a 17mm socket. It's very quiet at idle now and sounds smooth up top. Awesome work man, love what you're doing to keep this one going. My boost issue is fixed. 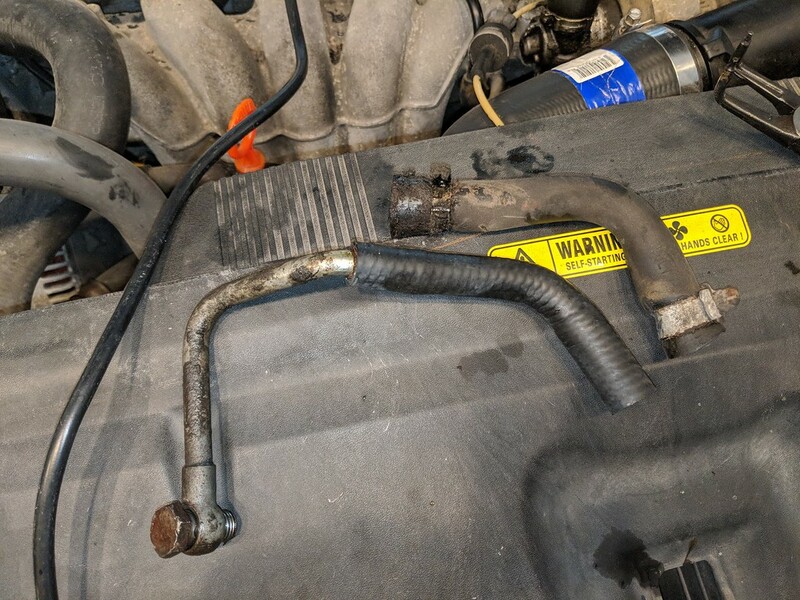 I replaced the upper hard pipe and two of the rubber intercooler hoses. I have no idea which one was the offender. My "knock light" started flashing when I surpassed 18psi. I cut off the dual muffler setup and replaced it with a single dynomax muffler. I moved the exhaust outlet to the drivers side. It's a bit louder but it also feels peppier during WOT. 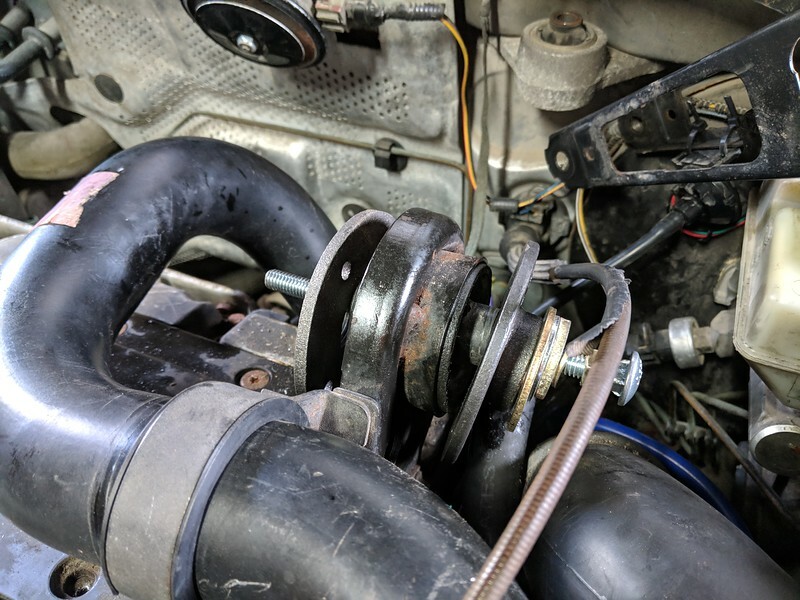 I decided the IPD poly torque mount was making the car too rumbly on cold mornings. 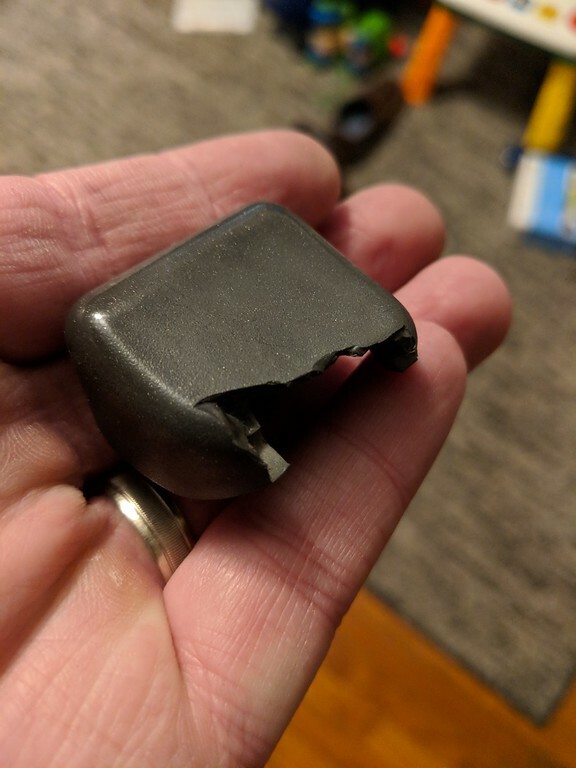 The firewall mount was also busted. 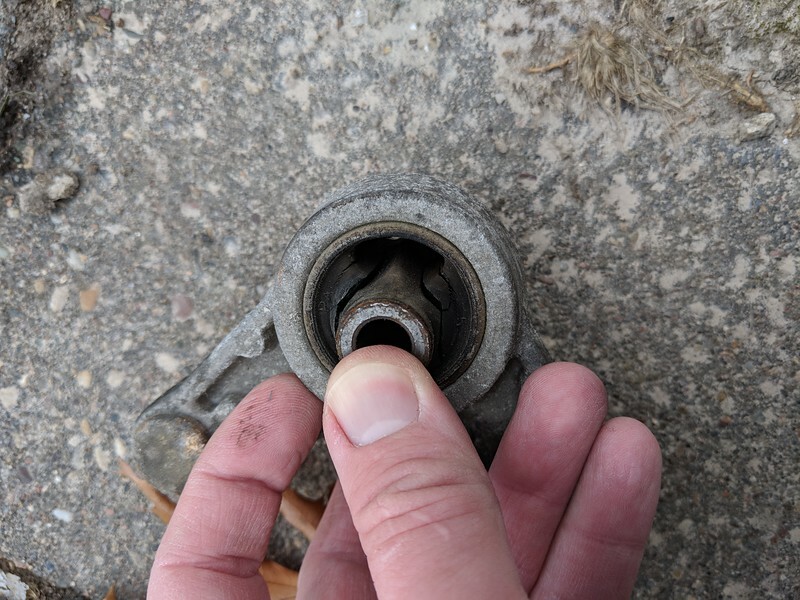 I tried and failed with the Robert DIY method of pressing in a OEM bushing. I was successful using the method shown below with pipe fittings, carriage bolts, washers and nuts. 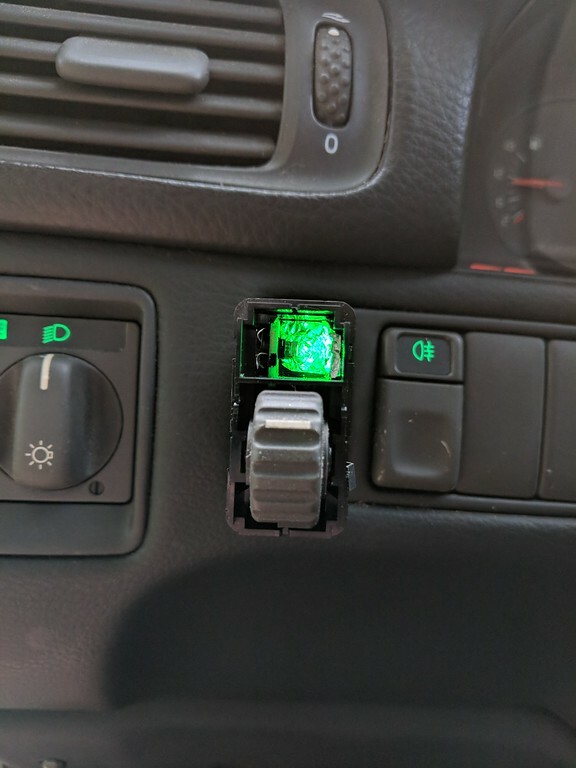 Replaced the firewall mounted bushing while I was at it. It's probably the original. Some parts of this homemade press are for one time use only. 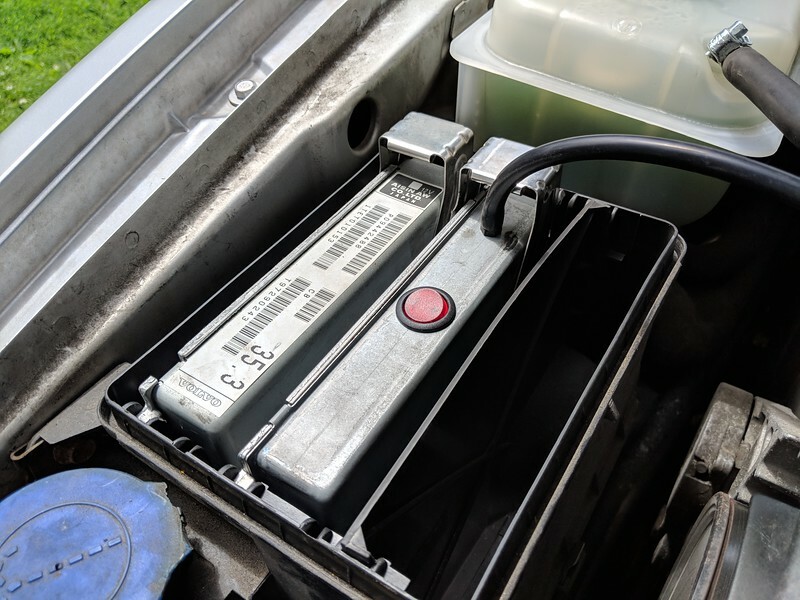 Last edited by ovlov760; 11-11-2018 at 03:41 PM..
Because of growing issues with the electrical and aiming systems of the factory headlights, I bought a pair of aftermarket TYC units to replace them. I was glad to see that TYC made some needed improvements to the Volvo design. 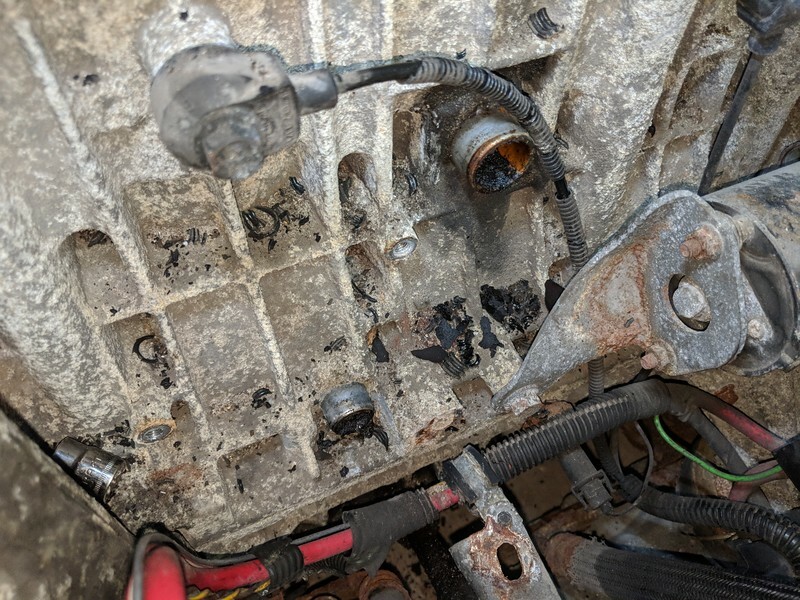 The connectors are much less fragile. 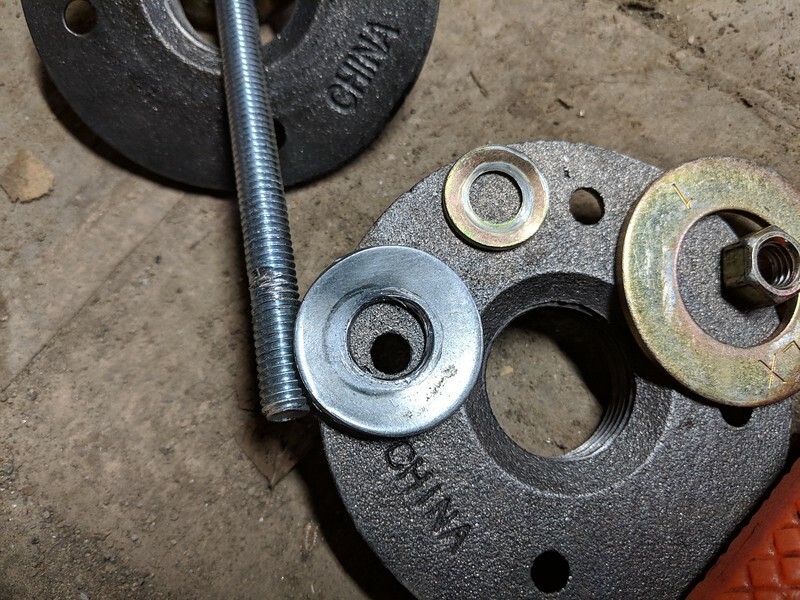 The spring retaining clips are easier to deal with. Time will tell if the wiring insulation holds up better. New on the left and old on the right.